Join the team at Roswick Ltd and you will be part of an innovative company that has established its place in the Construction Industry. We are an equal opportunities employer. We can offer relevant skills and safety training for all of our staff to ensure development and job satisfaction. Every role within the company offers attractive benefits including company vehicles, paid holidays, flexible working patterns and additional work is often available overnight and at weekends. If you feel you could be part of our highly skilled staff get in touch. 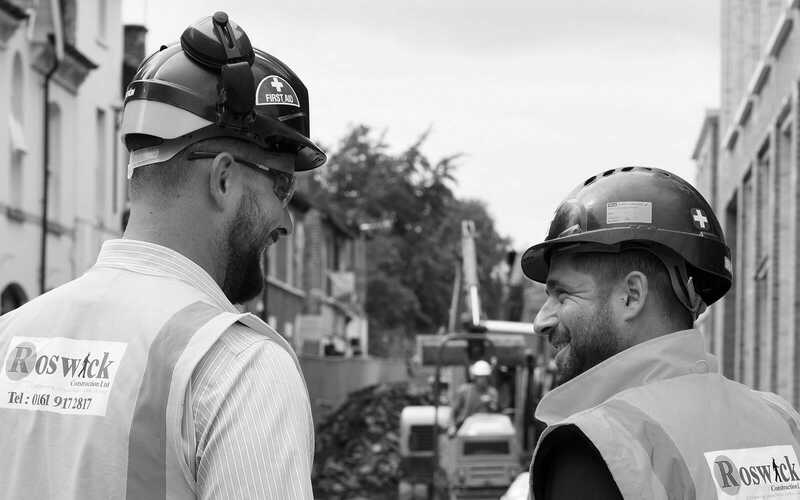 We are always interested in hearing from skilled groundworkers, with a range of positions currently available we are always open to discussing opportunities.